In addition to exclusive ingredients you will find common ingredients which are served by a surprising combination of French cooking techniques and senses of global inspiration. Subtle textures with innovative elements, sweet, salty and sour ingredients and flavors from around the world. Besides our menu’s we also present a small A la Carte. We kindly ask you to submit any allergies and/or dietary restrictions upon reservations. 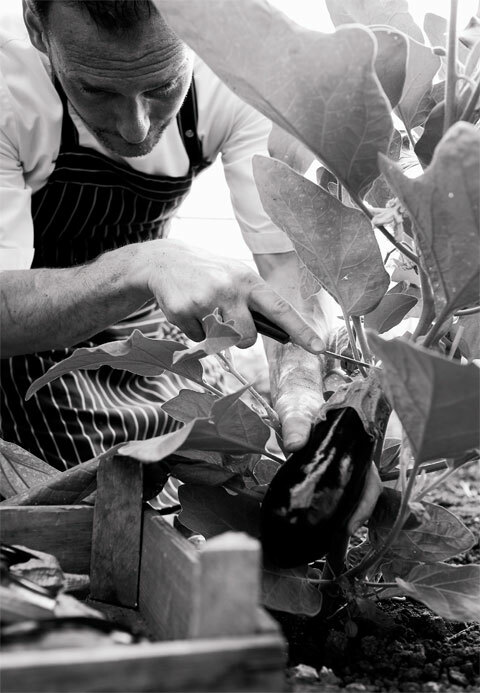 Our Signature menu offers guests a unique look into the adventures cooking style of our Chef Jeroen Bavelaar. A five, six, seven or eight course menu with the best seasonal products in exciting and surprisingly combinations. Every 6 weeks Jeroen we will present a full new menu. Like to be surprised? Let us know and Chef will present the Signature menu with a twist. Menu Signature can be ordered until 20:30 latest. Every season we present a new A la Carte Menu. This gives our guests the flexibility to choose their own favorites and number of dishes. Taste 4 classic dishes of our A la Carte in one menu. We kindly ask you to order our menus for the entire party of your table. Menu Signature can be ordered until 20:30 latest. Please submit any allergies and dietary restrictions by booking. We consider our restaurant less suitable for children under 8 years.